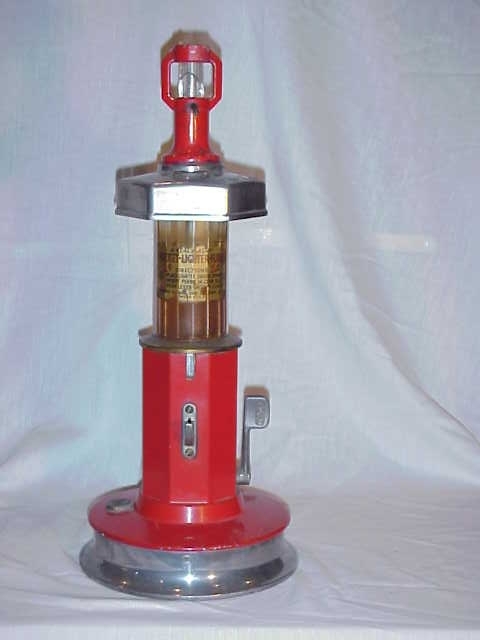 Van Lansing Co. One Cent Coin Operated Van-Lite Lighter Fluid Dispenser. Visible Lighthouse Shaped circa 1933. Best we’ve seen in such fine condition. Has working lock with key. 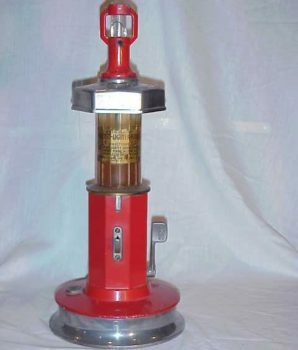 Shape of visible gas pump with original Van-Lite decal on base, original red paint, and lock with key. 18.5″H x 7 ½” W. I inserted penny, pressed lever, and pump suction makes a plunger sound. Overall fine condition.